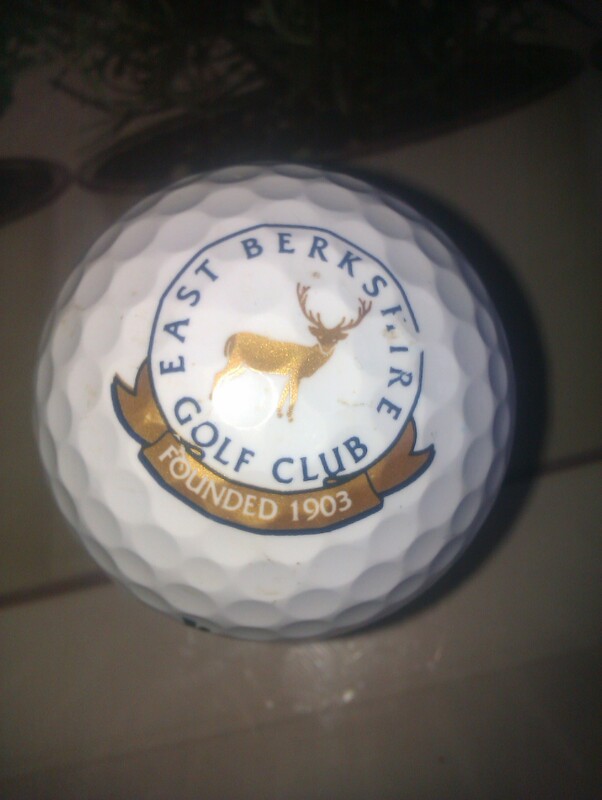 Srixon Golf Balls seem to be the choice for Berkshire. 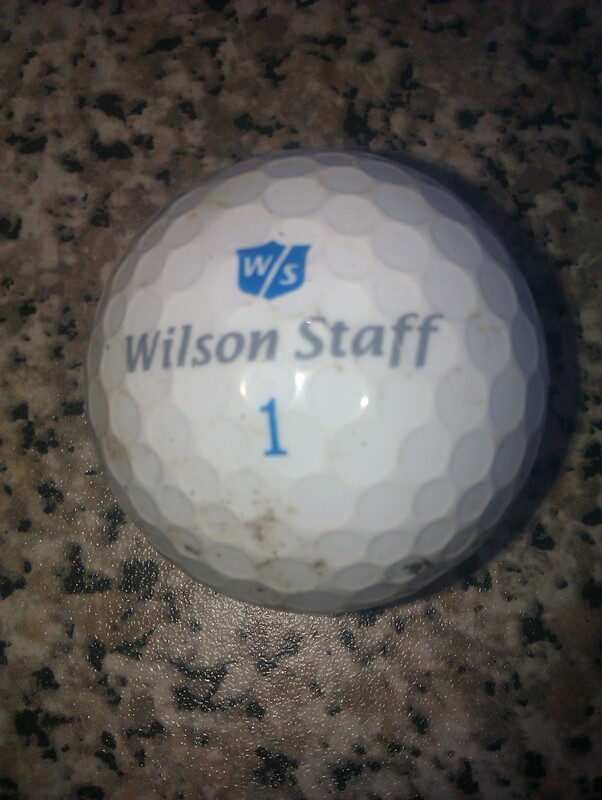 The last seven days have convinced me that Srixon Golf Balls are without doubt the choice ball for courses in Berkshire. 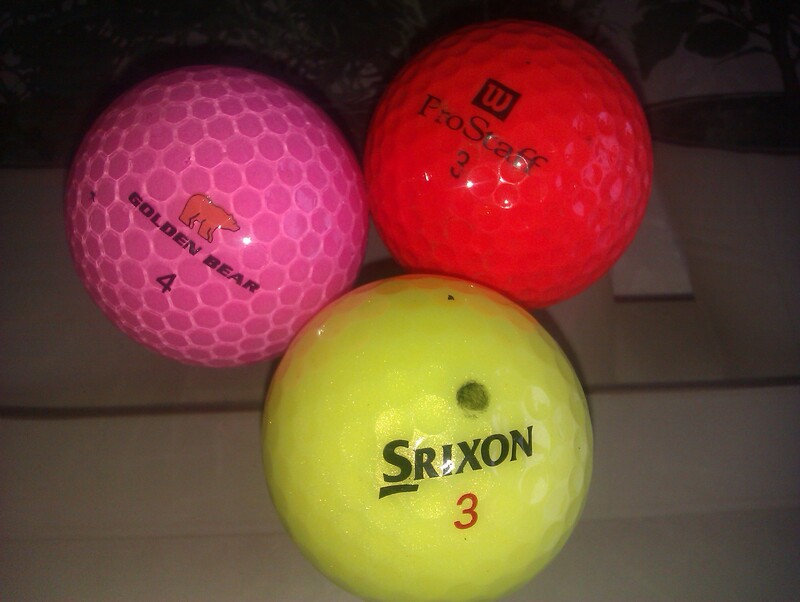 I have trawled my way round four courses in the last week and after having a tot up on returns Srixon has outweighed its nearest competitor who came a long way behind and that was Calloway. 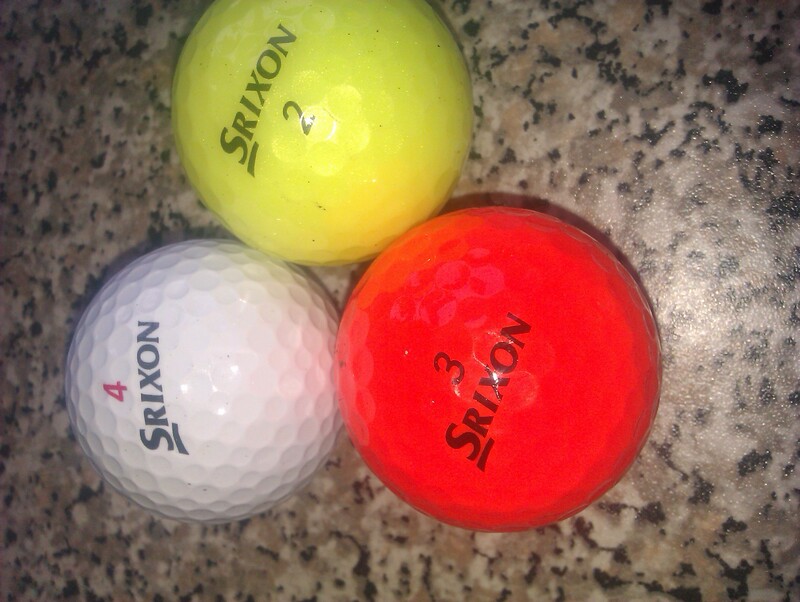 So very well done Srixon we can sell as many as we can find ! 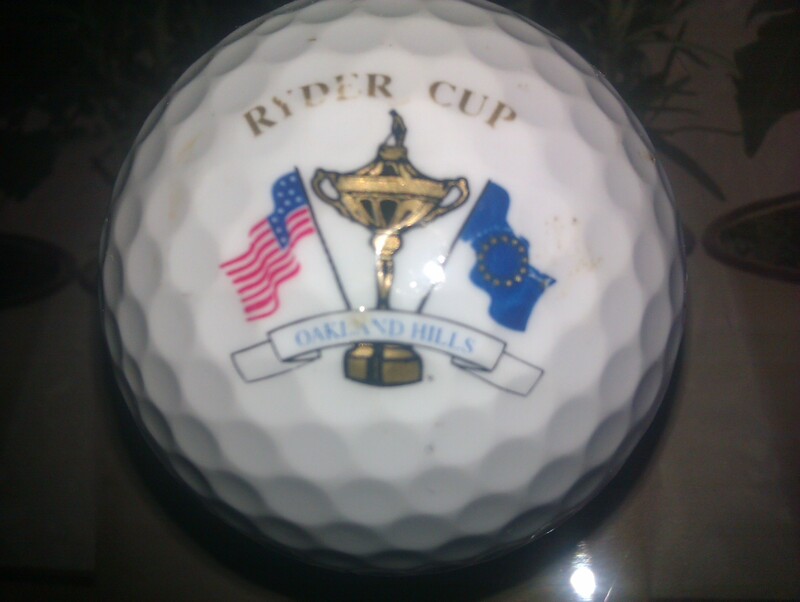 We need golf balls, do you live near a golf course? 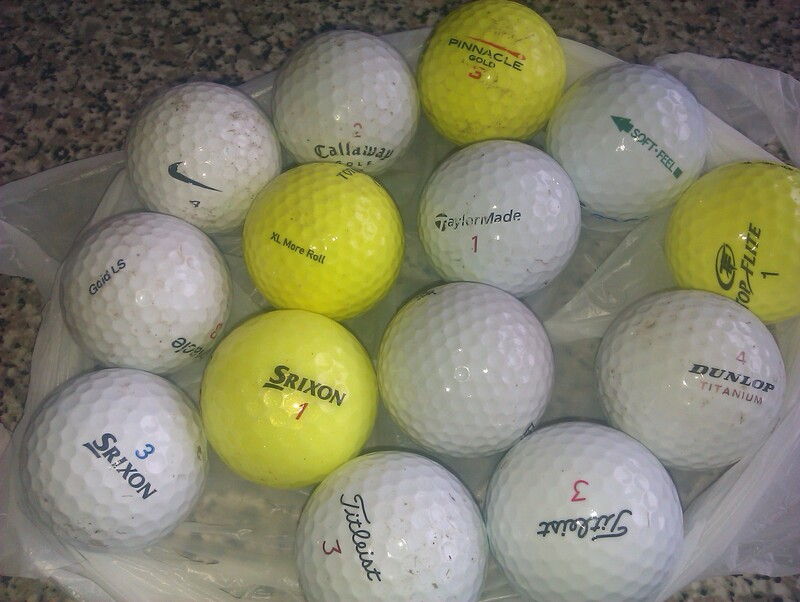 if so gather them up and let me know, do you back on to a course if so let me come and collect from you, i am happy to purchase as many as you have. 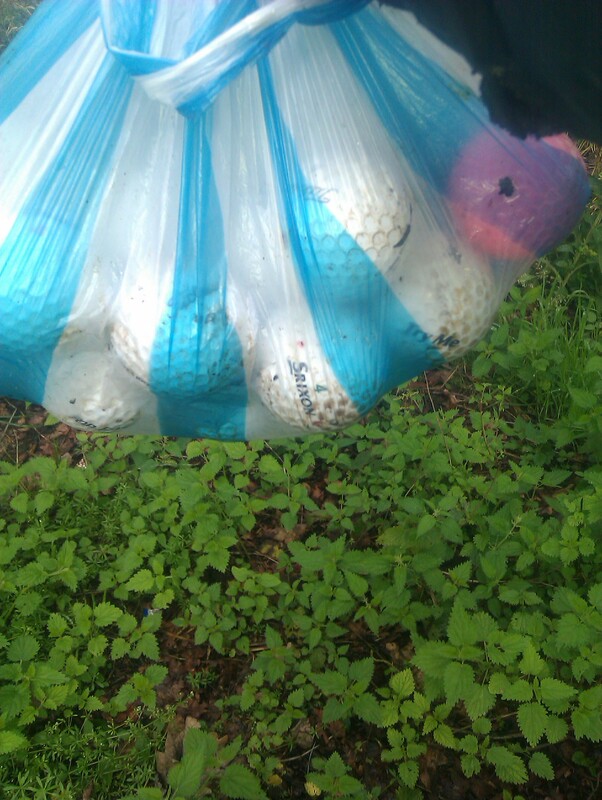 Moscow Trip then straight to the woods for golf balls. 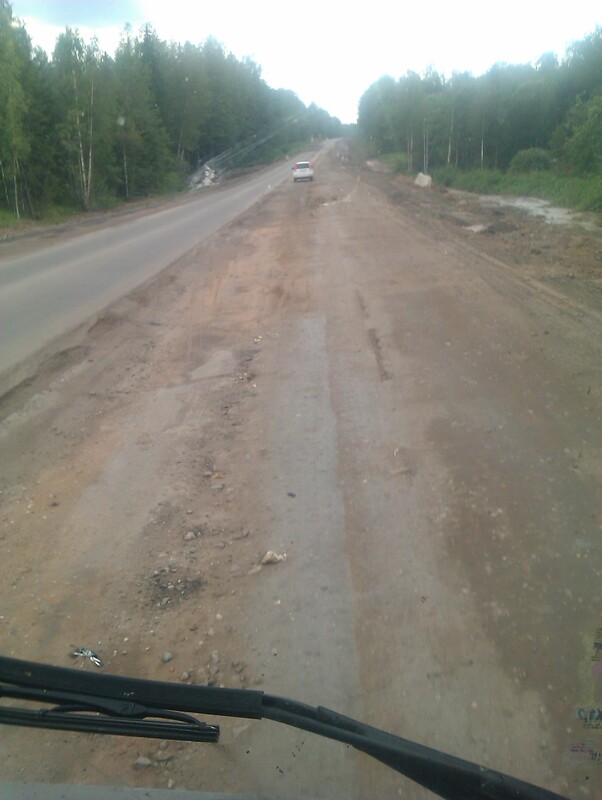 Just back from a road trip to Moscow which was enough to scare the most hardened driver anywhere, Ice Road Truckers should get over to Latvia and Moscow to experience some of the most dangerous and diabolical driving conditions known to man. 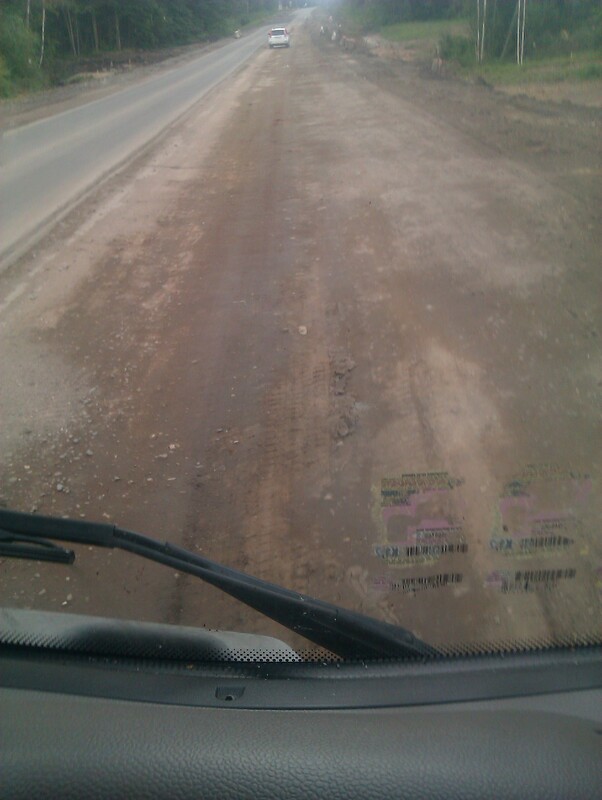 Pot-holes and ruts that throw you all over the place and road surfaces that you drive on make it feel you are on a vibrating machine, one minute your on tarmac then mud and stones where the roads have collapsed all this on roads barely wide enough to let vehicles pass in a safe manner. 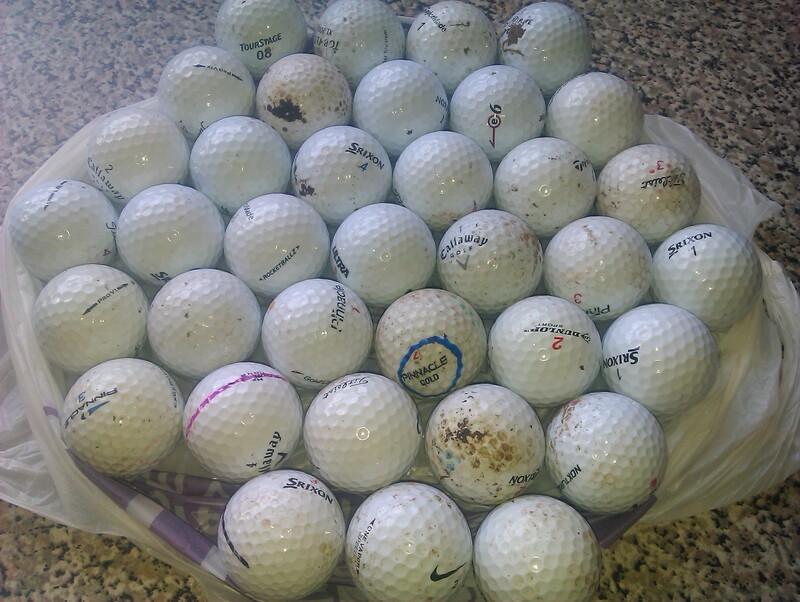 Anyway after the shock and stress of the journey i actually got home,and was i pleased to be back you couldnt believe how nice it was to get back in the woods with tilly and get back to finding lots and lots of golf balls. Within 24hr of being home i have so far retrieved a huge amount that are already sold due to messages left on my phone. 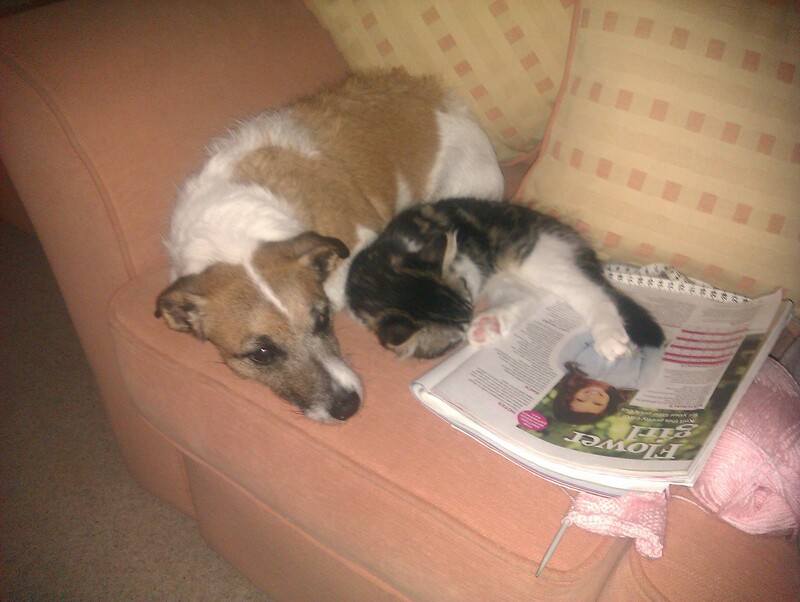 Worn out and tired in need of rest,but with tilly wanting to be in the woods i have no chance, my next move is to catch up with the deer and to see if i can get a glimpse of the new arrivals. 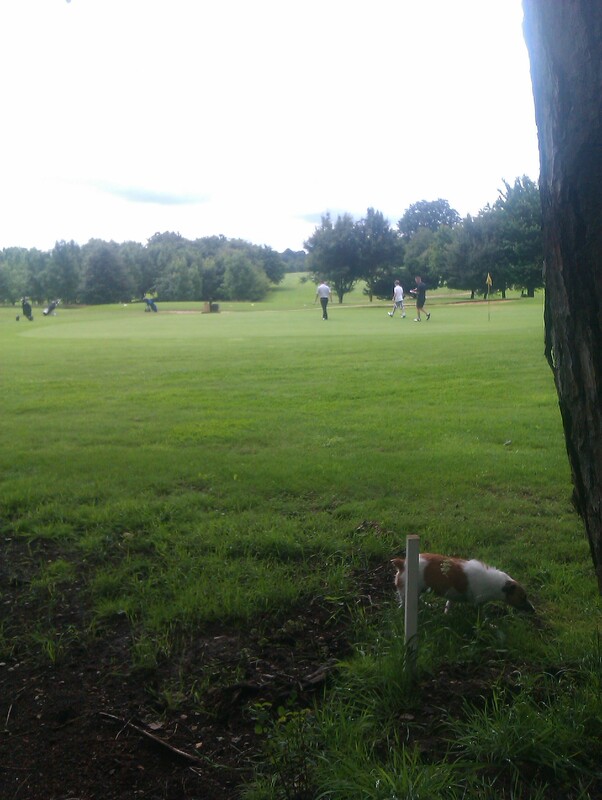 On the other side of the course at midday. 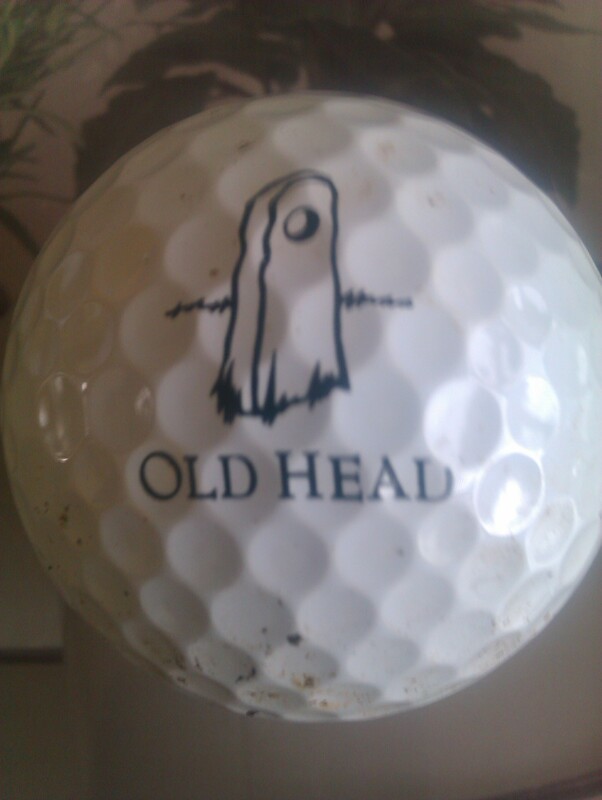 We had another good return and a mixture of Calloway, Srixon & 7 Titleist ProV and some usual rubbish old style Pinnacle that look as thou they were made in the time of pre war, i hate finding those balls ! 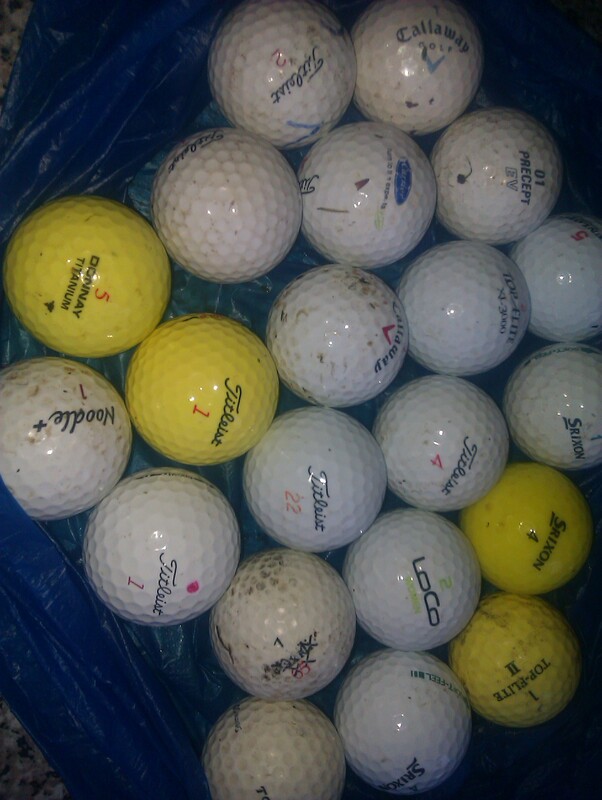 Unusual to walk through the woods and find so many Taylor-Made balls laying idle, it makes me wonder if this particular golf course has been given a few extras from the kind peeps at TM. 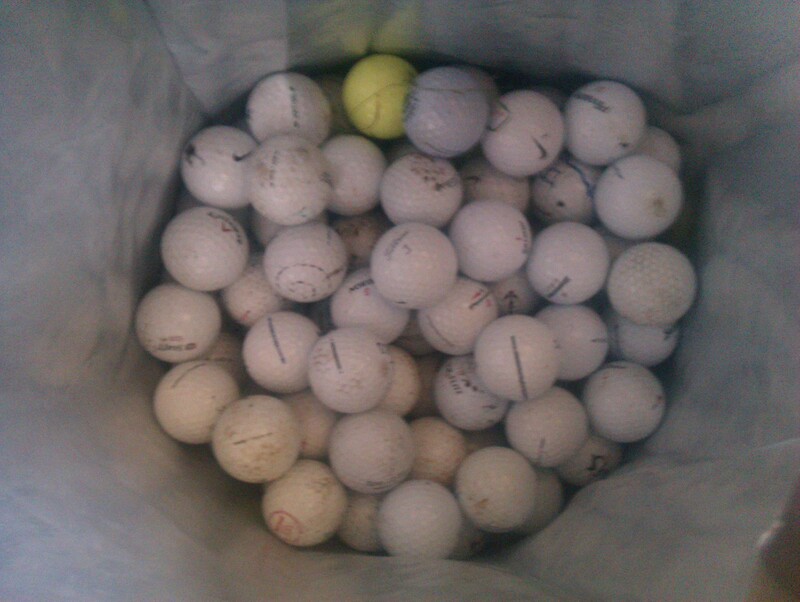 In less than 30 minutes 18 of these gleaming balls were in my bag, i got to the point of asking myself “Is someone hiding in the bushes or following me around” and throwing them for fun? 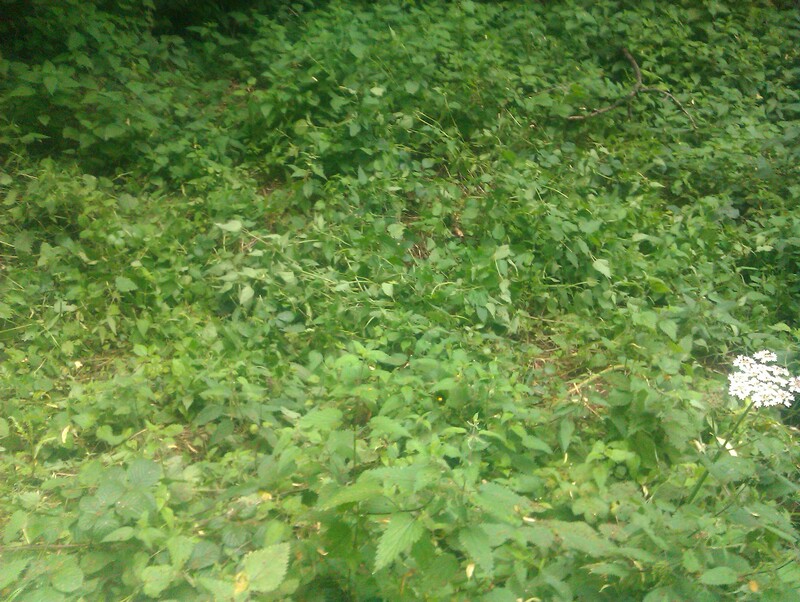 but whatever the reason for them appearing, a big thank you because i can sell them very quickly. 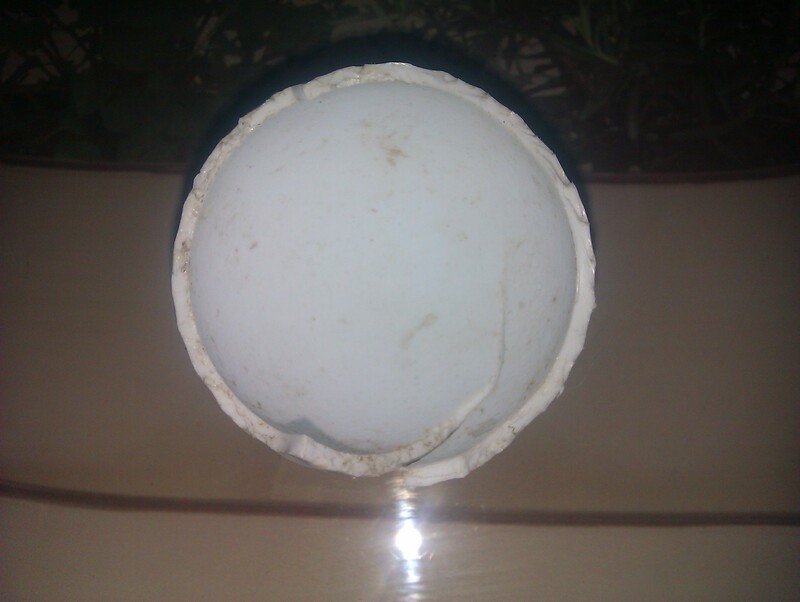 Not such a good golf ball after all. 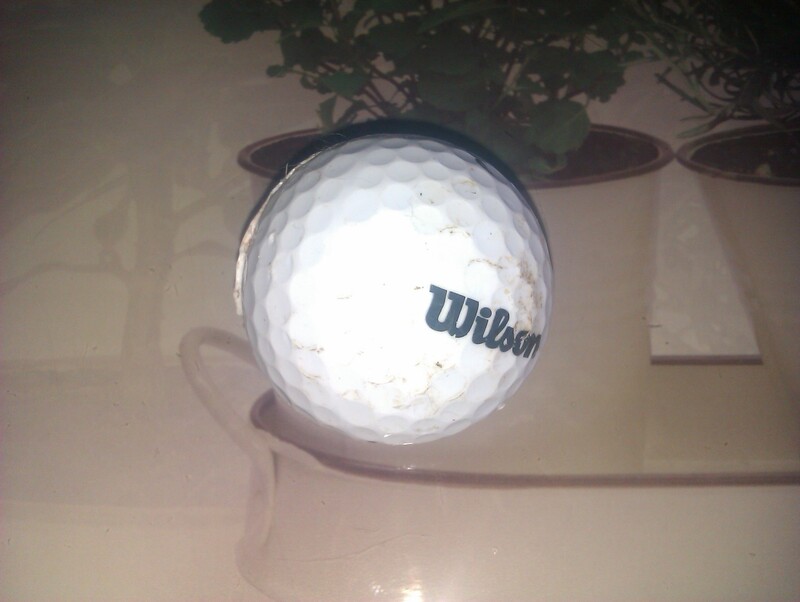 I stumbled across this ball today hidden in the thorn bushes,after attempting to get in the brambles myself tilly came to my rescue and pounced on what i thought was a decent looking ball,but shock and horror we found this. 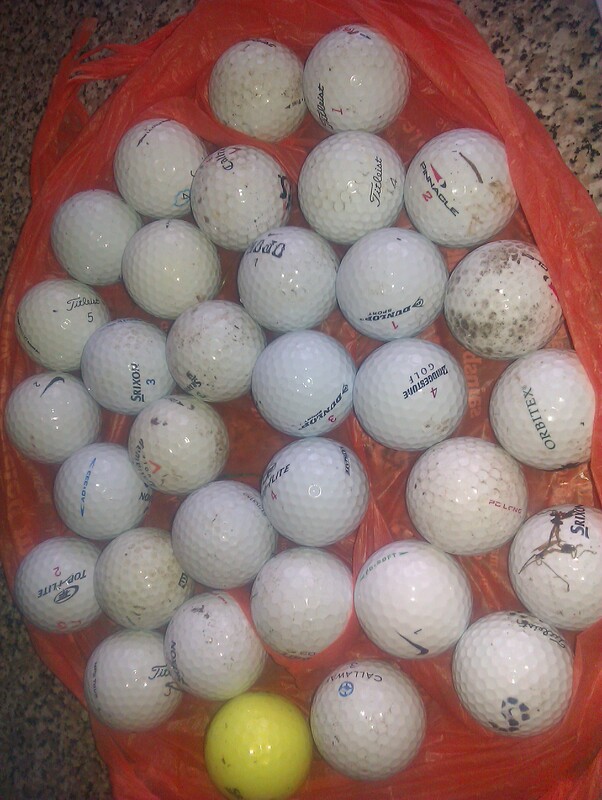 After just a short walk lasting 30 minutes we went back with these,not the best mornings work but something is better than nothing, we will no doubt bin a majority of these as they are just no more than practice balls which should not be played on a proper course, you golfers playing a ball like that should be ashamed of yourself,your no better than a bunch of penny pinching clowns. 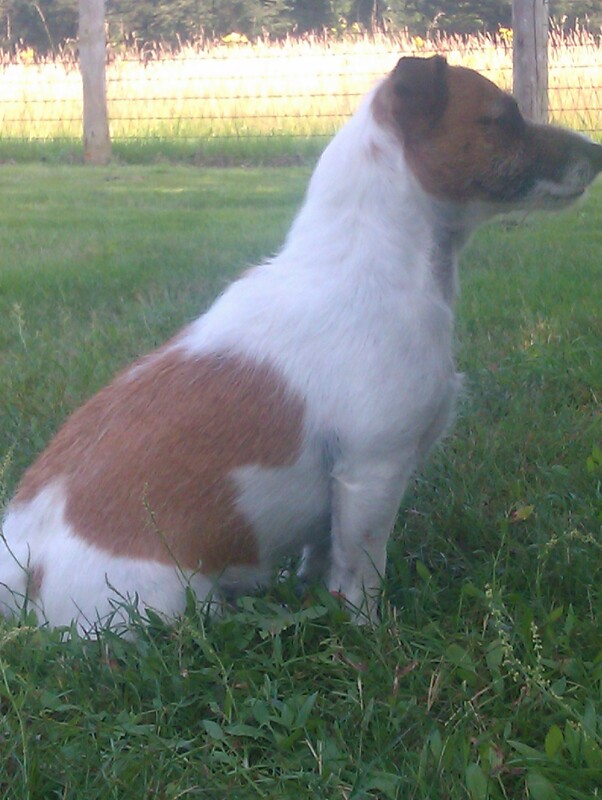 Arrived home and as usual my faithful companion was delighted to greet me with a warm welcome that lasted a few minutes. 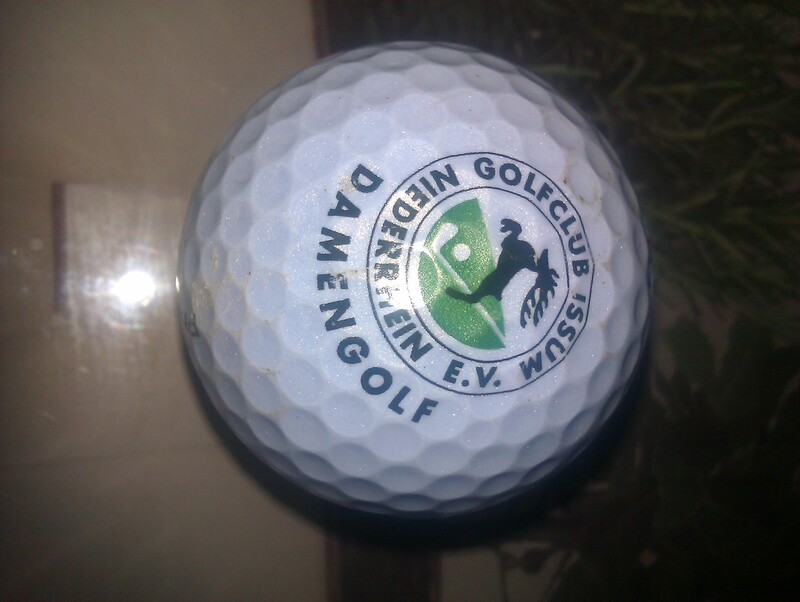 quality golf balls which have already been sold, it is amazing that if i had 1000 here now they could be sold. This morning i had a buyer call and take 200 then messages from other buyers wanting more but sadly due to being away working my stock levels have dwindled in a big way so i need to get my boots on and head back in the woodland. 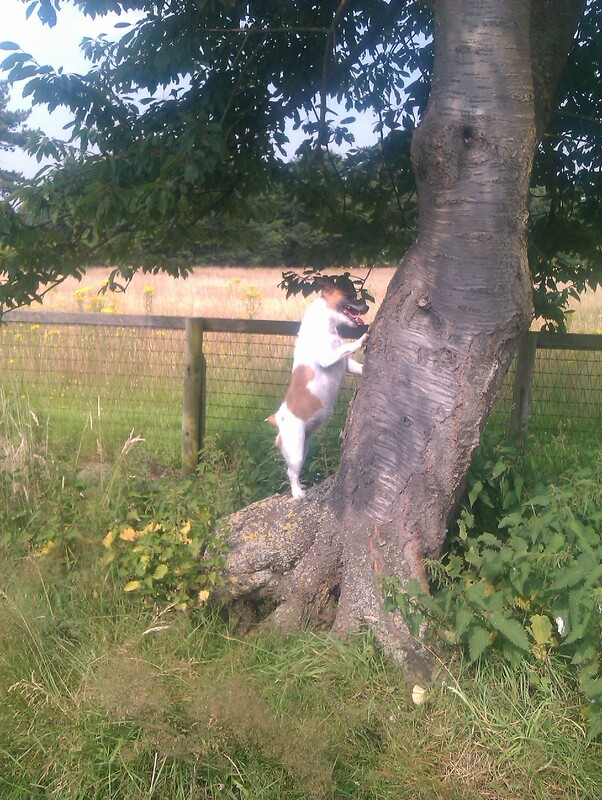 You are currently browsing the Tilly the Golf Ball Retriever Dog blog archives for July, 2012.